Alpha-Holics get ready as this much loved brand has an incredible new launch to kick of 2019. Exclusive to QVCUK as a Todays Special Value the 3 Piece Radiant Skin Collection also includes the Supersize 200ml Liquid Gold! Wow, how is that for a collection! Having sadly missed the launch party held in London last week, due to train cancellations caused by snow ( I mean…..its not Canada!) I was kindly sent this collection from the PR team so that I could share with all you wonderful Alpha-H fans out there. So lets talk…. 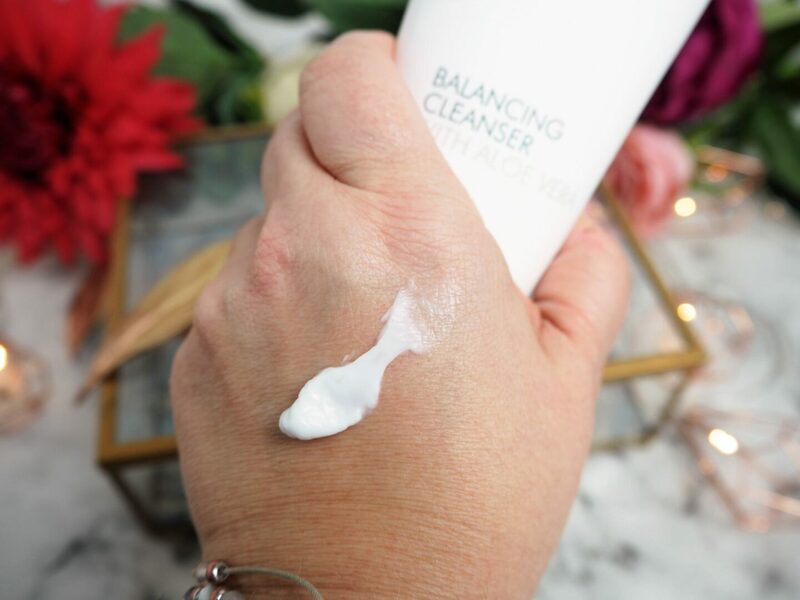 This cleanser is one of those that is a real joy to use at the end of a busy day. It is quick, it is enjoyable and it is thorough. Perfect for taking off stubborn make up, dirt and grime in the evening as well as making a lovely, refreshing morning cleanse. 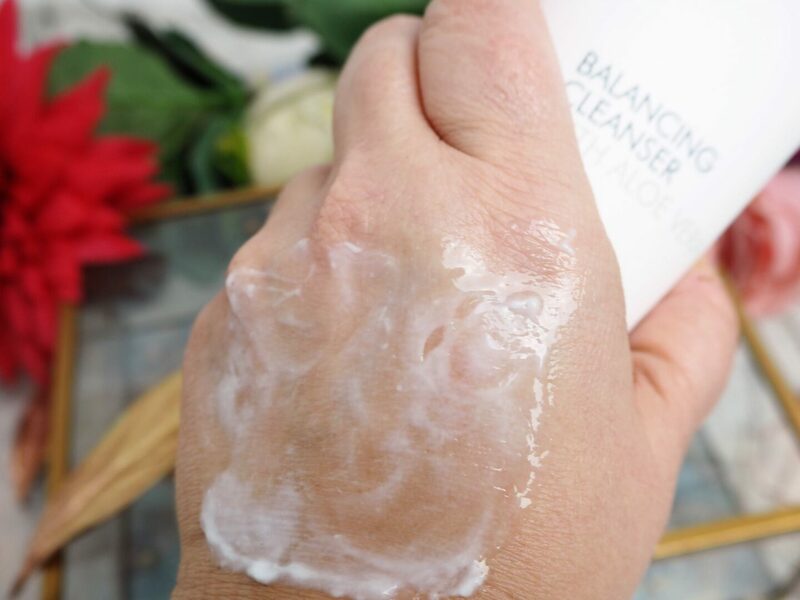 Enriched with Vitamin E and Aloe Vera, this cleanser soothes and cools the skin, providing ongoing hydration long after cleansing. So gentle you can even use it to remove eye make up. A great one for the guys too as it is non greasy and balancing on the skin whilst offering a deep clean. I really enjoy this and so does my son. Apply to the face, neck and décolleté then add water to turn into a milky emulsion, rinse away with plenty of warm water. I love how soft and almost silky my skin feels after using this product. Beautiful product. If you are a regular Liquid Gold user then deffo snap up this collection. If you are new to the world of this Iconic product, then read on. This superhero product is a must have for millions of people around the globe. Clinically proven to decrease wrinkle depth, improve texture and increase hydration after just one application, this product is still winning awards years and years after launch. Australia’s most iconic beauty product accelerates the skins Hyaluronic Acid and Collagen production, whilst rapidly improving the appearance of wrinkles, pigmentation, sun damage and acne. For me, and my mature, dehydrated skin, I adore how this hydrates and exfoliates without striping the skin and over time, the surface of my skin has become smoother, fresher and brighter looking and who doesn’t want that. With it’s new-ish ( and very instagramable hahaha) packaging, the bright white with the sleek gold lettering only adds to the charm of this ever faithful product. Plus, it is a supersize product at 200ml so this is a real win, win. Easy to use on alternate evenings, after cleansing, moisten a cotton pad with Liquid Gold and sweep across the face, neck and décolleté. When the skin is dry apply your serums and moisturiser. Always, always use with an SPF. Ring the bell, there is a brand new product launch and this sounds incredible!! 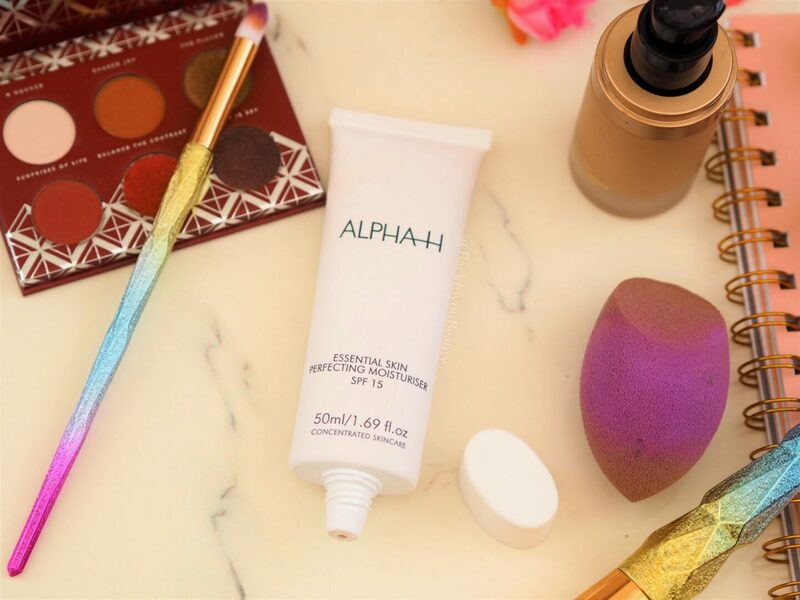 This new launch from Alpha-H is not only a 3-in-1 moisturiser, sun shield and make up primer (yay) but it also combines broad-spectrum UV filters with Antioxidants, Peptides and Damage defenders. This handy product is able to smooth the appearance of the skin, creating a perfect canvas for make up, deeply hydrate, protect against blue light and pollution AND be an SPF 15, now if that doesn’t sound amazing, then i’m out!! Containing regenerating Niacinamide which is that power ingredient that reduces water loss from the skin, this really is a one-product-does-all kind of situation. Hydration – Check, Moisturisation – Check, SPF – Check, Skin Smoother – Check, and much more. The scent is very uplifting and with its slight tint it cleverly colour matches your skin as it blends away imperfections and layers down all kinds of protection. 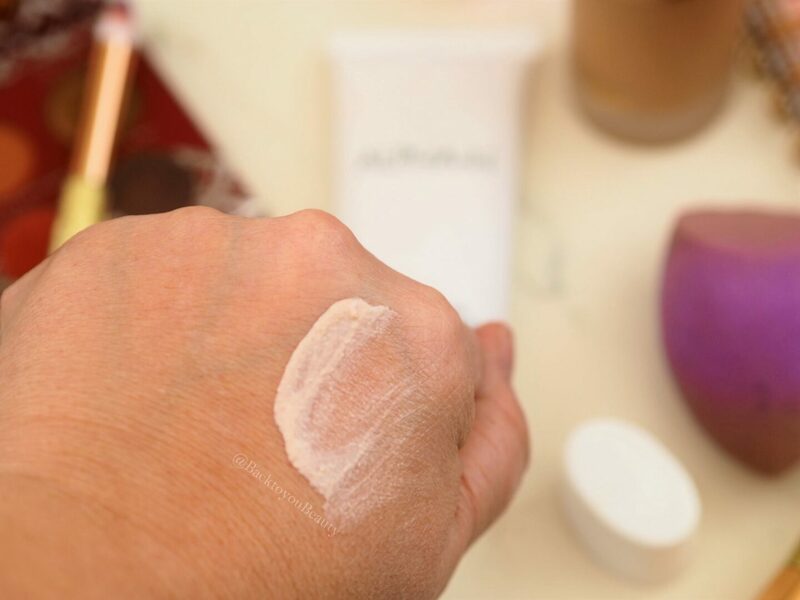 It feels satin smooth on the skin, fills in slight imperfections wonderfully and make up sits lovely on it, without additional creasing or cracking. I think I may have just found my Muti-Purpose wonder product that will be incredible to take on holidays and weekends away. Well done Alpha-H this is a wonderful addition to the family and I am blown away. One more thing to mention, which is a fantastic move forward in helping the environment is that this collection is also debuing its new, fresh look and showcasing the brands commitment to using sustainable packaging, with almost 40% (its a start) of their new tubes and bottles being made from recyclable material! Yes! This collection launches as a Todays Special Value exclusively on QVCUK for one day only or whilst stocks last on 8th February 2019 for £37.98 + P&P . However, my readers can purchase the collection now, HERE using my special early order link. This collection is also available on Auto-Delivery. Have you tried Alpha-H before or are you new to the family? I would love to hear your thought, please leave me a message below. "The guidelines on declaring AD’S for readers and bloggers!" "Elemis Lift & Firm 4 piece Collection – QVCUK TSV"
Oh wow that looks incredible! Such a good price too!